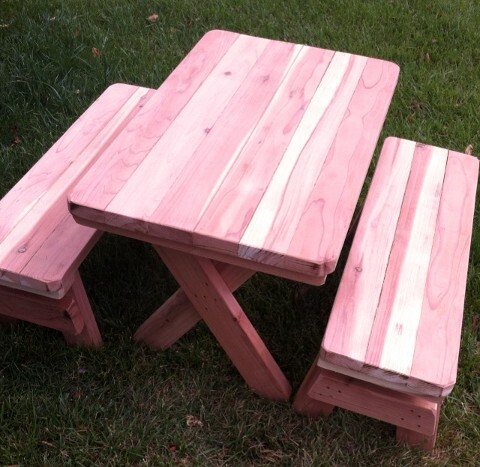 Welcome to the OutdoorWoodFurniture2U.com information page. 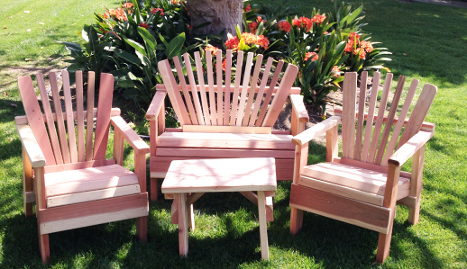 We are the premier provider of top quality solid wood (Not Pressed) furniture to Southern California. 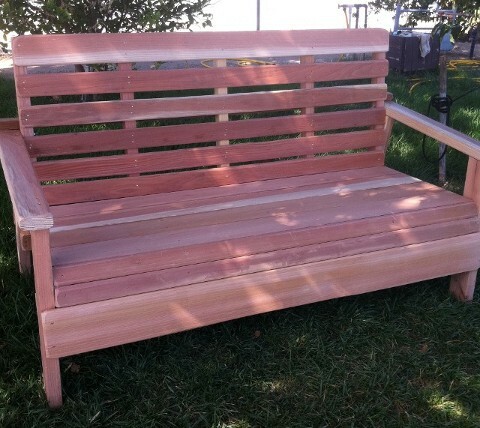 5' All Solid Redwood Park Bench Redwood bench, braced to last for years. 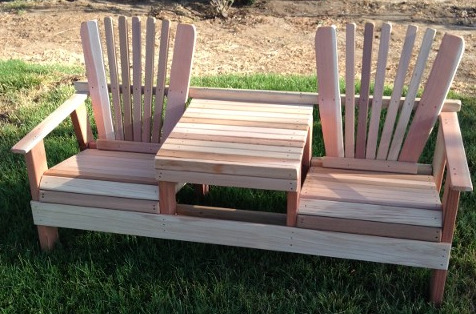 This all solid wooden constructed garden set comes with. 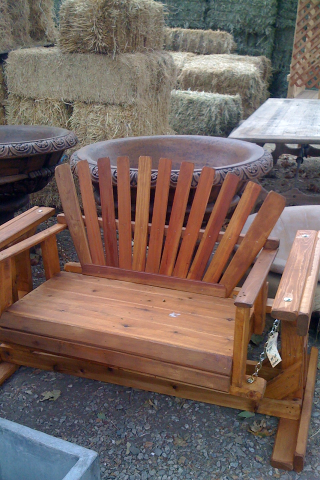 1 Love Seat, 2 Chairs and the perfect little table. 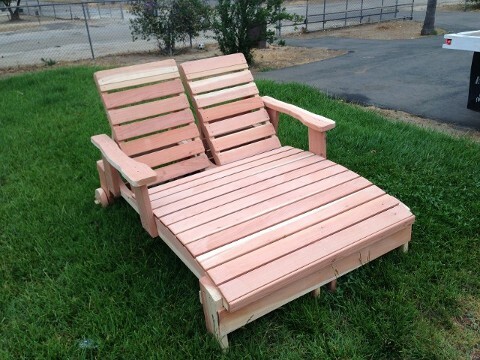 This Single Chaise Lounge is also available in a Double (for two people) The seat back is adjustable. 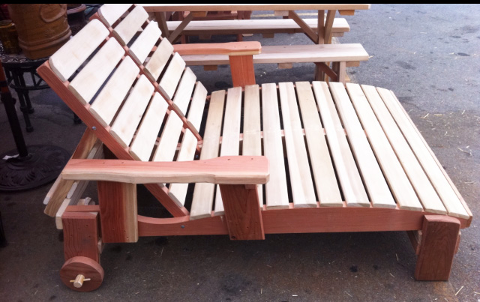 Double Chaise Lounge (Front View) Seat backs are individually adjustable. 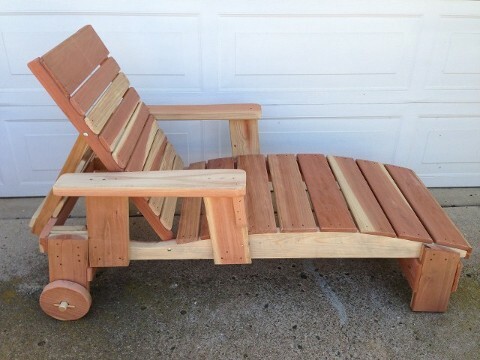 Double Chaise Lounge, solid sturdy wooden construction. 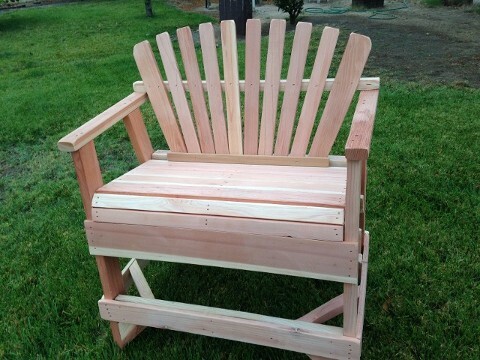 Seat backs are individually adjustable. 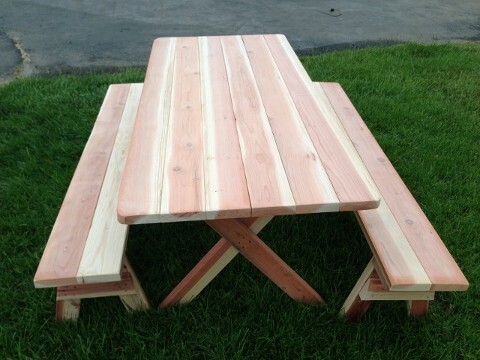 3' Kids Picnic Table (Redwood) Perfect place for the kids/ children to eat and play. 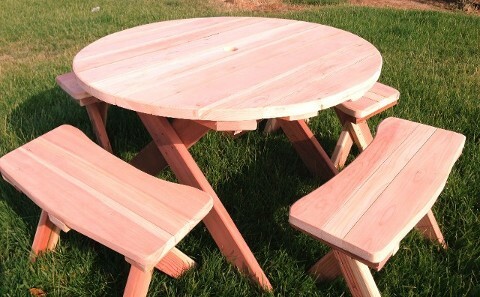 4' Round solid Redwood table with 4 seats. 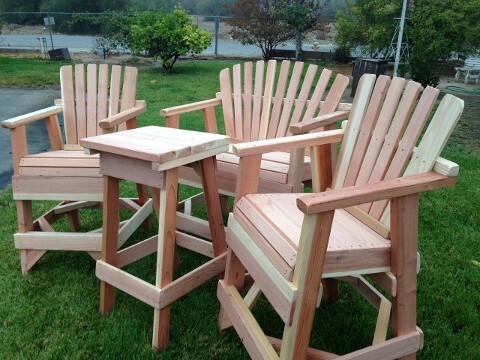 Chairs and table are solid Redwood and are unfinished. 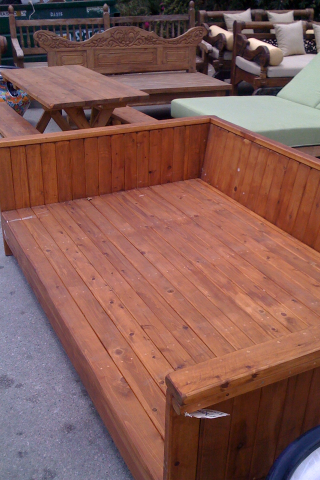 The elevated height design make them perfect for an elevated view over an existing railing or obstacle. 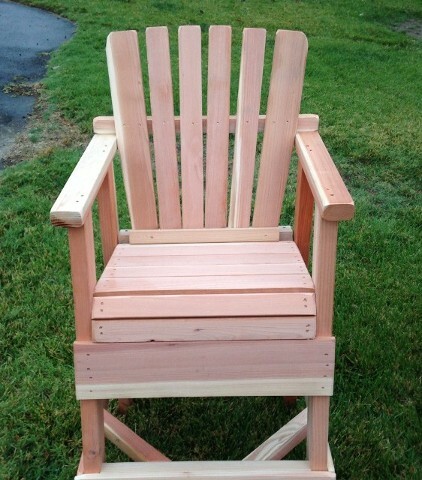 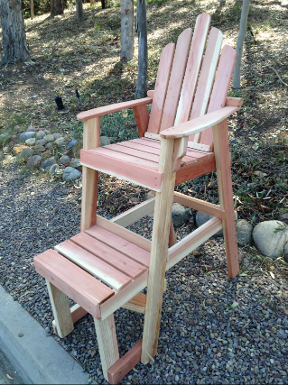 Chairs are solid Redwood and are unfinished. 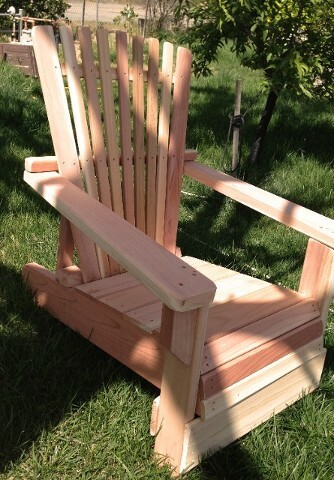 The elevated height design is great for extending your view. 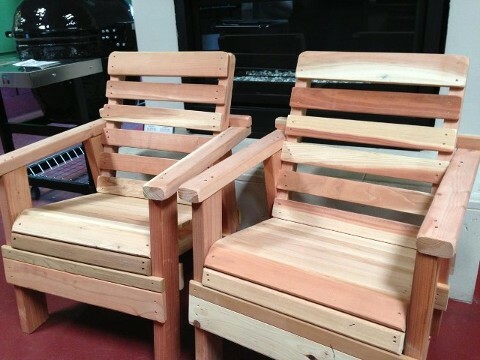 Chairs are solid Redwood and are unfinished.